How do I get added to Winterhaven's email lists? At the beginning of the school year we distribute a Welcome packet. That packet contains a critical form you need to fill out in order to make sure you are on the email list and in the Family directory. If you miss that opportunity, you can email: admin@winterhavenschool.org to get added or removed from any of our venues. Additionally, our email list lives on a Google Server. This enables our users to conduct their own support via self service. Once you have your user id and password, you can log in and change your password; change your forwarding address; or change the group lists you are in. What Winterhaven email lists are available? We currently have an “PTSA_all@winterhavenschool.org” list which is used for official PTSA business and announcements. There is a “chatter@winterhavenschool.org” list which is unmoderated and for open-ended community conversations. We have a list for each grade (PTSA_g1 (fill in grade number)@winterhavenschool.org or PTSA_k@winterhavenschool.org). Where is the best place to get the most up to date PTSA news? Look here for our latest PTSA update. This where we consolidate our latest announcements in one place and the quickest way to get caught up. Peruse our Facebook page if you want to see recent conversation. How do I edit my email list groups? We have a number email lists. If you want to view and change your email lists, go to google groups while you are logged into your email account. Select “my groups” from the upper left margin and you should find your groups listed along with options to leave the group. How do I access the Winterhaven Directory? The Winterhaven Family Directory Lives online only right now at this location. We are in need of a parent who can help us update it annually and manage a PDF or printed distribution. Until then, it lives online. It is password required in order to protect everyone's personal information. So users must be logged in with their Winterhavenschool.org user id and password. Each tab contains a different grade. Navigate the tabs along the bottom to find the grade you are looking for. How do I get added to Winterhaven's Facebook Community? We have an active community and this is a good place to get caught up and to connect with other parents. Once you are logged into Facebook, simply search for “Parents of Winterhaven” and you will see the group. Who is in the Winterhaven Facebook Community? Winterhaven Parents. We check each request to join our community before approving them to make sure they are parents in our community. We expect parents with graduating children to leave the community when they are ready. There is also a PPS Board member or two on our list. They are part of our community also, and when they ask to join we've allowed it. How do I provide feedback to the Winterhaven PTSA Board? You can find out who your PTSA board is here on our website. 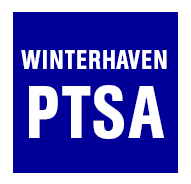 To email a subset of the group you can use PTSA@Winterhavenschool.org. Is the Winterhaven email censored? Absolutely not. The only person who can ever change a message is the sender. Our interface doesn't allow any administrator to change the content of an email message and that would be agains our policies and principals. Since the announcement list is moderated, that means we manage the pipleline of messages out. We are using the google queue to help with regulating our releases so we don't send out too many at once. When someone sends an email out to our announcement list, it enters a waiting queue. "Approve" is the technical term that google groups calls the action of sending an email out of the holding queue and into distribution. (It doesn't have anything to do with the judgement of approving the content of message.) Though, for PTSA business we appreciate that this queue also gives us a second chance to proof our work and make sure the links we put in our messages are correct. The Chatter@winterhavenschool.org list is entirely unmoderated and is also not censored. How do I get an official announcement sent out to the PTSA? How do I get additional communications support for an initiative I am working on? A user may send an email announcement to the PTSA_all@winterhaven list at any time. That email will enter the moderated email queue. And as long as it is a legitimate announcement supporting a PTSA activity it will be sent out of the queue as soon as we are able, based on the emails already planned in the queue. You can also email the PTSA communications chair at anytime for additional planning and comms support for your initiative. Planning ahead is always better. Especially, if the PTSA already has an email planned in the queue for the day you are trying to send out. If you have something urgent you can always contact the PTSA comms chair or email admin@winterhavenschool.org. To make any changes to your email, log into your Winterhaven school google mail account. Your user id is firstname.lastname@winterhavenschool.org. Once logged in, here are instructions for resetting your email forwarding. (Note if you already have a google account, you might need to sign out of that account or at least add a new account before following the steps in this email). Why do I need a separate Winterhavenschoool.org email address/I.D? What is my ID? The user id enables us to have a protected community. We use it for log in to protected areas of our web site, like our Winterhaven family directory for example. It is also your membership into our email server and google group email lists. Basically if you want to communicate online with this community, aside from in Facebook, you need a winterhavenschool.org id. Most usernames consist of firstname.lastname@winterhavenschool.org. How do I reset my Winterhaven user id password? Email admin@winterhavanschool.org if you need help. We are here to help! Is there only one person who works on our Winterhaven Community tools? No. We currently have an interim webmaster who generously supports our site. We are sorely in need of a permanent webmaster. Emails to admin@winterhavenschool.org go to both the PTSA communications chair and to the webmaster. The two roles serve to back each other up. Can you use more help with Winterhaven Communications? YES please! Contact admin@winterhavenschool.org! Can you help by updating content on our website or keeping our hallway bulletin board interesting? How about helping with our promotions calendar? Or helping to administrate our Winterhaven google ids? Let us know, we'd love to have you on the team! ‪There is also an App available for both iPhone and Android devices where parents can view schedules, assignments, and emergency contact information. ‪Please contact Nancy Cooper, Principal's Secretary in the Winterhaven office for any questions after getting set up with your student's login information. Classroom.google.com‪ is used and managed by teachers to track homework (most kids have their own login). This site is completely separate from the PTSA Google Groups / email initiatives. Our plan for this email address is to also use it as a domain login to protect certain personally identifying information on the Winterhaven PTSA website.